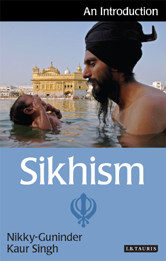 This book outlines and explains the core Sikh beliefs, and explores the writings and teachings of the Ten Sikh Gurus in Sikhism's Holy Scriptures, the Sri Guru Granth Sahib (more usually called just the 'Granth'). Further chapters explore Sikh ethics, art and architecture, and matters of gender and the place of women in the tradition. The book attractively combines the warm empathy of a Sikh with the objective insights and acute perspectives of a prominent scholar of religion.